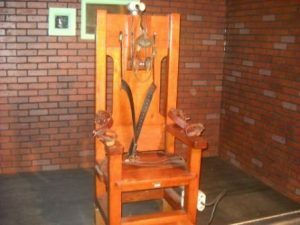 Several academic studies conducted over the past decade but have not gained adequate attention in the media indicate that the death penalty prevents crime by deterring criminals from committing serious offenses, mainly murder. The findings are clear: on average, every execution prevents 18 murders. The abolishment of executions in Illinois in 2011 led to 150 additional homicides over the next four years. If we check the number of murders reported in each state and compare them to the number of executions in recent years (taking into account other factors, such as unemployment, and income per person), the results are clear, the higher the number of executions, the lower murder rate becomes. The opponents of death penalty claim that executions do not deter criminals from committing homicide. Besides, the death penalty is very expensive. Between 1978 and 2012, for example, capital punishment in California cost more than four billion dollars – about half to cover court costs, a billion and a half for various appeals, and another billion dollars were needed for housing inmates on death row. The moral price is also heavy. The fact that a person took life does not give the government the right to take life as well, even when it comes to mass murderers and terrorists, such as Osama bin Laden. Governments are obligated to act morally more than individuals.